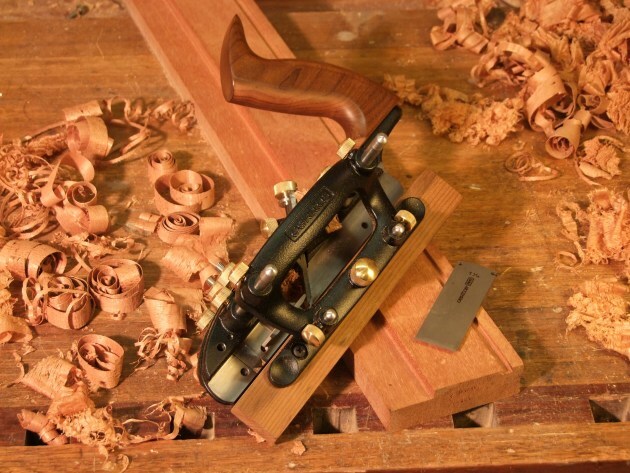 Re-engineered and upgraded to benefit from innovative research and modern materials, the evolutionary links of the Veritas combination plane to the Stanley 45 are clearly evident. This version has however a smaller more compact feel with the designers also choosing to eliminate the inclusion of a front knob. 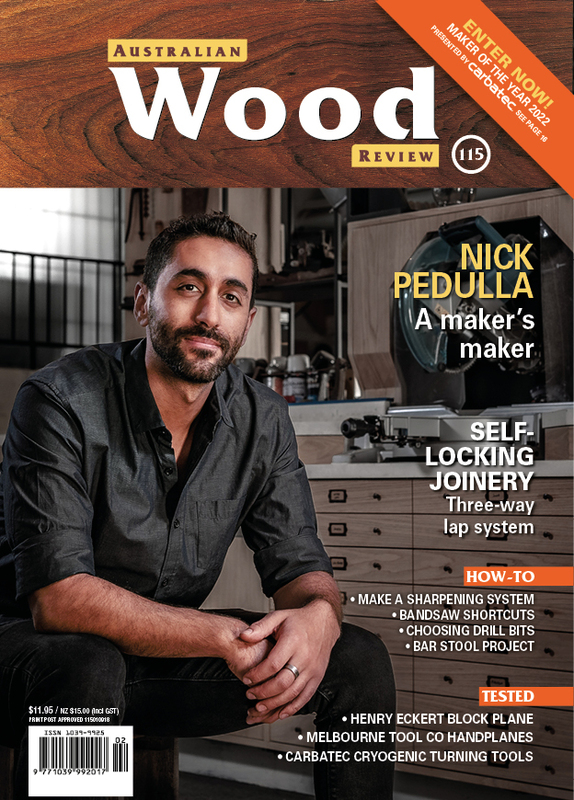 Combination planes have polarised woodworkers for more than a century. Their supporters typically enjoy the versatility these planes offer whilst their detractors despise the fussiness and complexity that invariably results when a single tool is designed to perform a multitude of tasks. 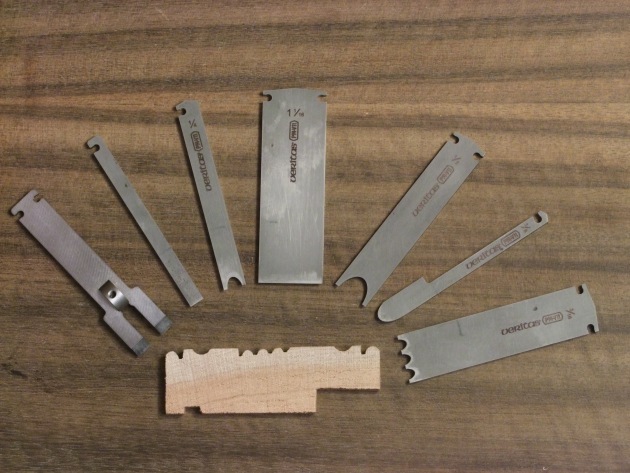 The plane is shipped with a single 1/4" ploughing blade and can be used to perform a number of joinery and moulding tasks such as beading, reeding, tongue and groove, fluting and rebating via a range of optional cutters. The standard plough and tongue cutting blades are in A2 tool steel whilst the remainder are produced in PM-V11 steel for longer cutting life. Blades from the right handed Veritas small plough plane will also fit this plane as will original blades from the Stanley 45. Like its Stanley predecessor, the plane consists of three main parts; body, sliding section and fence held together by short (125mm) or long (200mm) rods. 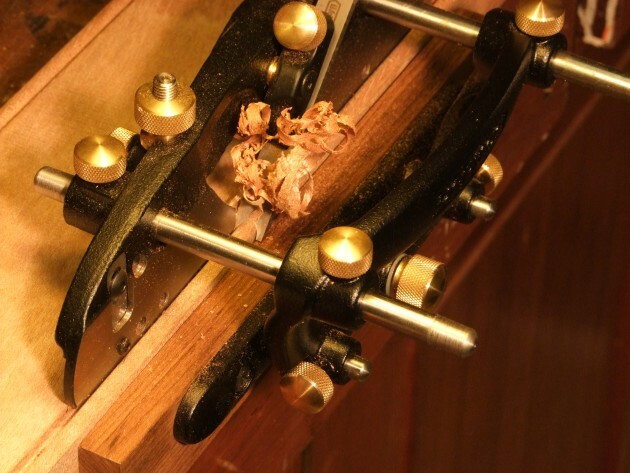 The long rods allow cuts to reach up to 125mm from the edge of the board. Because of its symmetrical design, both right or left hand use is possible which can be handy when considering grain direction. The sliding section and body incorporate cross grain spurs and depth stops which allow for a cutting depth of up to 20mm. The quality of manufacture is outstanding with all controls via knurled brass knobs and critical adjustments such as the fence position including micro adjusters. But how does it perform? For most operations set-up consists of installing the desired blade before positioning the sliding section to align with the outside edge of the cutter. The fence can then be set as desired and finally the depth stop adjusted to limit the cutting depth. As one would expect from Veritas, the blades arrived sharp with only a quick hone required. Both beads and flutes cut effortlessly, however the Veritas bead blades cut a quirk of 1.5mm which I find too large for a nicely proportioned bead. I also found the reeding cutter challenging to use as the blade had been profiled slightly off square. By design, a plane like this has a very open mouth, so using the moulding cutters in straight grain material is always going to be recommended for acceptable results. to the designers how conveniently the knobs are to access. With the exception of the reeding cutter, I found the plane pleasant to use and although its performance was good, it could not compete with that of its companion tools such as the Veritas small plough and rebating planes. 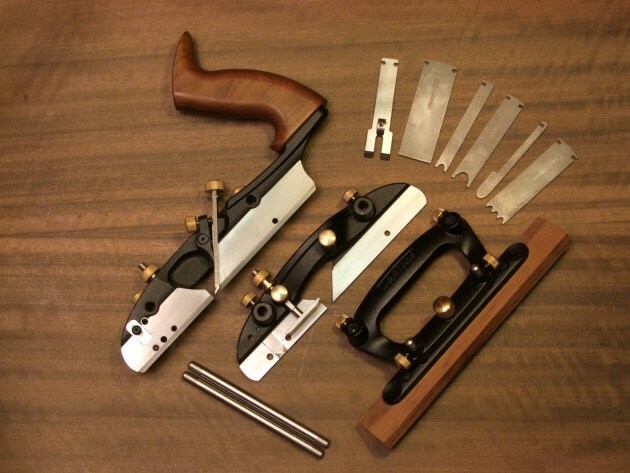 For hand tool enthusiasts that regularly need to perform joinery tasks I anticipate the inevitable set-up time with a plane like this will be enough to justify the purchase of dedicated planes designed for ploughing, rebating and beading operations. For those that can’t justify the cost of individual tools or those that desire the occasional use of a hand plane like this, the versatility of the plane will far outweigh the minimal set-up time and the plane will provide a lifetime of enjoyable use. Click here to sign up to our enews for a chance to win a Veritas combination plane currently valued at $620.